Disclamer: This is all speculation from my crazy mind. I base it off evidence, but at the end of the day we don't know everything and I am certainly wrong about some parts. With the reveal of the "next of kin" short, not only do we learn how Winona got into the constant, but also what happened to Robert Wagstaff, the found of the Voxola Radio Company, the factory Winona works for, who also made the radio Maxwell used to communicate with Wilson, and create the Divining Rod. Wagstaff indeed went missing the night his factory burned now, merely days after he started production of the Voxola radios. Perhaps pulled into a strange realm by strange machinery he created? Let's backtrack a little. The short appears to take place before Charlie took the throne, as she is not wearing her Queen attire and her personality still seems to be overpowered by the shadows. Maxwell was the one on the throne at the time. He had to have been. The radio's were only in production for a few days before the factory burned down in 1919. Wilson was captured in 1921, so all of this had already happened before Wilson was pulled into the Constant. It's a little hard to read the text, but I'm confident it reads "Do evil shadow monsters lurk among us? ", with a picture of something that looks similar to a Terrorbeak, eating someone. My theory is, Wagstaff saw this news paper and researched the matter, and eventually learned about Charlie and Maxwell's existance in the Constant, and created these radio's specifically to help them communicate outside the Constant. Whether or not he knew what Maxwell would do with these radio's isn't known of course (i.e telling people how to make a machine that traps them), but that seems like the more conceivable explanation. A mysterious inventor, who finds himself exactly where he wanted to be? He let himself get captured, and let his glove slip off when Winona tried to save him. Why he wanted to be in the constant we don't know. Perhaps he had some sort of plan to help try and save Charlie and Maxwell? Winona definitly was not supposed to get captured, Charlie specfically says she did not want her to come to the constant. We don't know yet. Thanks for reading my crazy theory. Hopefully when Wagstaff gets added to DS, more light will be shred upon this subject. Wagstaff obviously has some sort of big role in the story. Wow, it's some great founds on Wagstaff we got here. Well, where is Wagstaff about to get added so, only Hamlet/DS, only DST, both ? Or I still don't know how the constent works, why should Winona go in DST and Wagstaff in DS if they both get trapped in the same way, hope he is about to come in both game so ! My theory is that Winona asked Wagstaff to help her find her sister Charlie and he got caught in the whole mystery of the constant, magic, shadow creatures, etc. All started with a plead and turned into an obsession. Why is Wagstaff gonna show up in Hamlet and Charlie spawned in DST? This pretty much confirms my suspicion that, contrary to popular believe, DS and DST are all connected lore-wise. Does the constant has two vertices, two ports? Did Winona change something when she repaired the machine? How did the other characters got to the constant? Who did build the machine for them? or did the machine opened some portals around the world? In the devs stream something was said about Winona being kinda Canadian.. what is that about? The issue here is the series of events and mystery lead to Voxola. For some reason Voxola was suspicious before Winona even worked there. Why is Wagstaff gonna show up in Hamlet and Charlie spawned in DST? This pretty much confirms my suspicion that, contrary to popular believe, DS and DST are all connected lore-wise. Does the constant has two vertices, two ports? Did Winona change something when she repaired the machine? I mean, DS & DST have always been connected. One takes place in the past, while the other is further along. As far as why they ended up in different places this has been addressed on stream. In short "time works differently in the Constant". Most people in the forums hold the theory that DS and DST lore are separated. Well... that before the Winona's vid. Not me as I said before, I always thought they were connected. 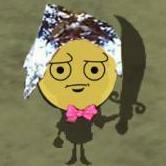 Most people in the forums hold the theory that DS and DST lore are separated. Well... that before the Winona's vid. I'm kinda fighting anecdotal evidence with more anecdotal evidence but that's the first time I've heard that. Actually Zeklo is right, there's a lot of people (not all) who said the events of DS & DST happens in the same world. Why he wanted to be in the constant we don't know. Perhaps he had some sort of plan to help try and save Charlie and Maxwell? I think that when Wagstaff get finally released in Hamlet we can establish a much more concrete timeline and the real reason why he wanted to be in the constant and if he had any type of relationship with Maxwell or Charlie. Maybe Wagstaff became kinda obsessed after watching Maxwell shows and he started researching the potential of the shadows for his radios? or Maybe was Maxwell who was seeking Wagstaff's advice for some engineering devices he couldn't decipher himself from the codex umbra? Now I don't think that Wagstaff was rescuing Charlie from his own accord unless they had some sort of relationship, which is kinda unprobable as far as we know. IMO, it makes way more sense that Wagstaff and Maxwell were working together on a new act that involved Wagstaff's engeneering abilities and the knowledge from the Codex Umbra. Then in Winona's investigation of her sister's disappearance, she found a clue that linked Maxwell and Wagstaff tying them together, which is what might have been the reason why Winona wanted to get access to Voxola in the first place. "Mysterious fires follow you like a plague"
I think the reason Wagstaff made the portal in the first place was to find either Woodie and/or Wendy. 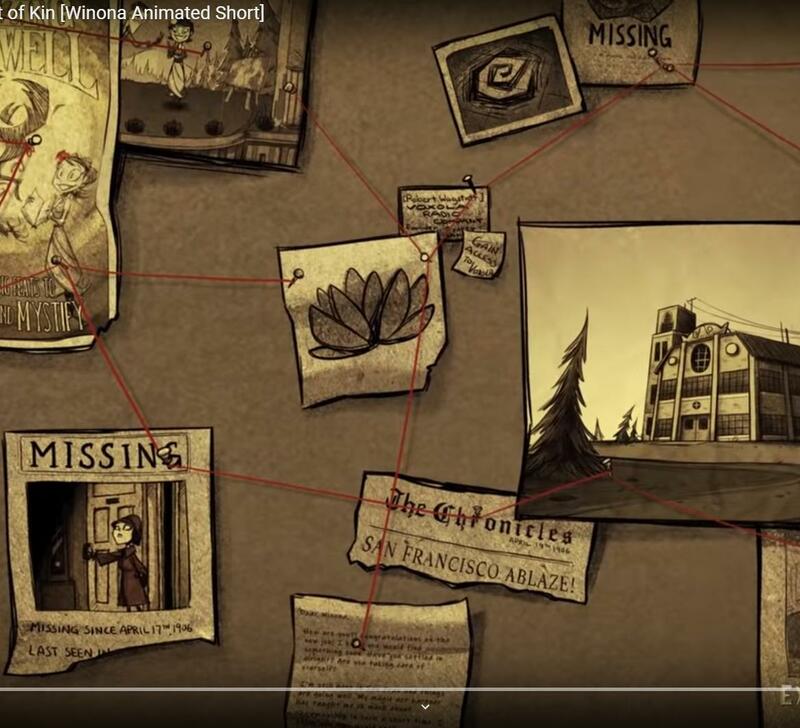 Looking at the little tidbits connected together with the red string you can see that the first mention of Wagstaff is connected to Wendy and Abigail's flower, as well as the missing poster for Woodie. Since they are directly connected in the chart it would be reasonable to assume that Wagstaff is connected to Wendy and Woodie in some way. Very possibly in a familial sense with Lucy or being directly blood related. An interesting thing unrelated to what I was saying before is how both Wendy and Woodie brought an individual they love with them into the Constant. (Or found them in the Constant?) It may just be a coincidence but it should probably be something to consider when we get more lore bits. Wagstaff is most likely the character that is going to be added to the base game, not Hamlet specifically. Meaning he'll be a vanilla character not attached to any DLC. I don't think that this chart belongs to Wagstaff, cuz it makes no sense that Wagstaff as "bossman" needs to write something like "gain access to Voxola." He already has the access to everything in there. Most likely, that chart belonged to Winona in her investigation following the disappearance of her sister. I think that Wagstaff and Maxwell were working together. Considering there is a letter from Charlie on the board, addressed to Winona, I would say it's hers. yeap, I meant in general to DS world. if he is attached to Hamlet or Vanilla DS is pretty much irrelevant to the events of the constant. DS world is all connected geographically though the "Worthies" portals. I never said that Wagstaff made the board. I should have said that the information that Winona gathered implies a connection between Woodie, Wagstaff and Wendy. I don't think that Maxwell was that good of an engineer to come up with the idea of "a radio that was capable of cross-dimensional communication." From all the William Carter videos, specially the "final act," we can see that Maxwell is pretty much winging it. He doesn't know that much what he is doing, more like trial and error. That's why I believe Max was asking Wagstaff to help him decipher the most technical aspects of the machine's construction. My 2 cents on this matter: Didnt one of the gorge goats say that "another of your kind passed by" before us? If wagstaff was ahead of the team and has been exploring the worlds and the portal for a while, he may have been to the other universes (Forge, Gorge, Hamlet, Shipwrecked) before eventually meeting the gang. What if Lucy is Wagstaff's sister? LOL maybe... In the following context might make some sense. 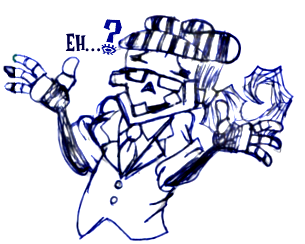 What I didn't get from the stream was the "Winona is somewhat Canadian" comment. What's that about?? "Winona is somewhat Canadian" comment. Maybe her mother is Canadian while her father is Asian? 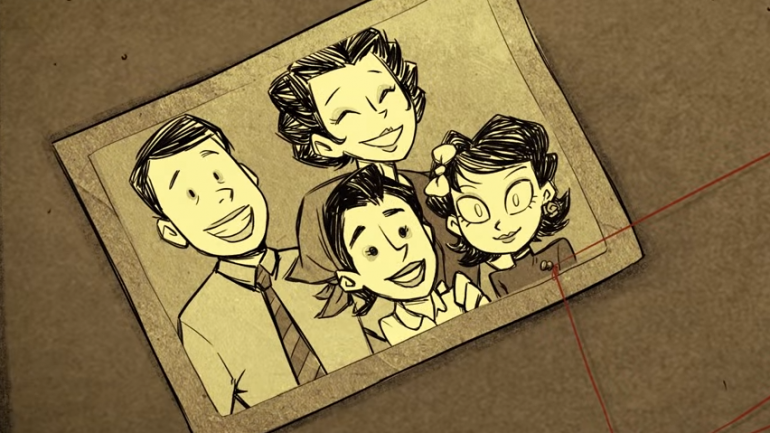 IT'd explain where Charlie's introduction to the DST with the asian inspired new year events came from. Still... Doesn't explain where Maxwell's fiesta idea came from for Hamlet. Is it confirmed by devs that Winona and Wagstaff weren't appearing in Constant before, because "times works differently in the Constant"? i just want to be sure. If Winona wasn't in the constant before Wilson coming in where was she? 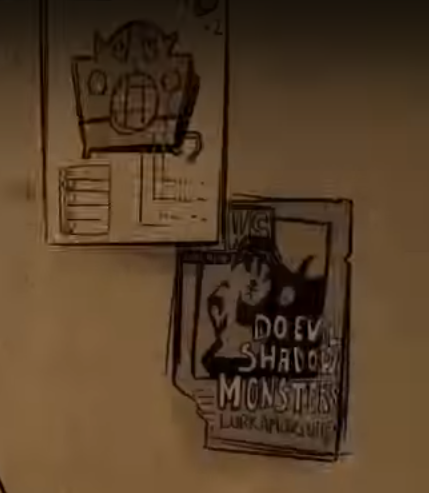 Hmmm tbh the Winona video confirms that DS and DST are connected, but I'm not sure they are in the same timeline or "world." We will have to wait and see what lore Wagstaff is gonna bring with him. I'm pretty damn excited tbh. We will have to wait and see what lore Wagstaff is gonna bring with him. I'm pretty damn excited tbh. Wagstaff's quotes on certainly things definitely have the chances of answering lots of these questions.